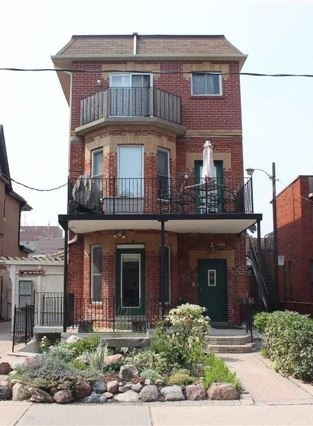 Featured Home for the Month of September is this 3 Storey Townhouse located in Little Italy! The 2 bedroom, 2 bathroom home right off of Manning Ave. and College St. has many fabulous upgrades. The eat-in Kitchen is equipped with stainless steel and built-in appliances, lots of cupboard space and more than enough room for a large dinner table. Located on the 3rd floor is The Master Bedroom, offering lots of storage space and a renovated en-suite. The spacious, sun-filled 2nd bedroom is located on the lower level. Outdoor is the paved terrace, great for entertaining family & friends. This beautiful home has no condo fees and is only a short walk to The Restaurants of Lillte Italy, The University of Toronto, the Hospital District and much more.